The day has finally arrived, tomorrow is the GRAND OPENING of our all new Mountain Adventure Park! 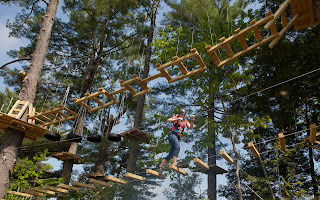 We did a trial run today, where a lucky bunch of people got to be the first to try out the new attractions. 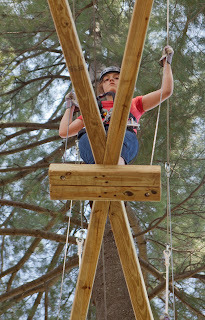 Our friend and photographer, Bill Lee, took some great photos below of the Aerial Adventure Course. 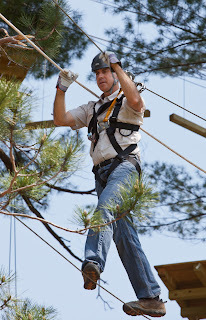 The park will be open this Sat May 28th- Mon May 29th from 10am-5pm and weekends through June 12, and then daily starting June 18th through Labor Day from 9am-6pm . Space is limited to make sure to reserve your spot today! Cranmore Mountain President and General Manager, Ben Wilcox in the Aerial Adventure Park. 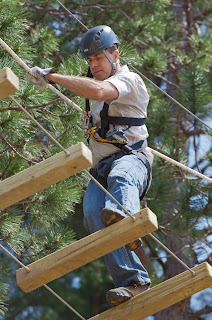 Here's Ben again going across one of the tight wires. One of the lucky ones to be first through the park. Taking a break to pose. 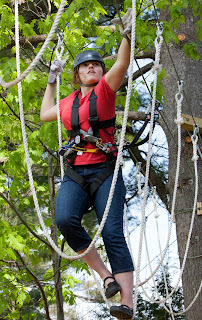 A fun day in the trees. A snapshot of more of the feautres in the park. 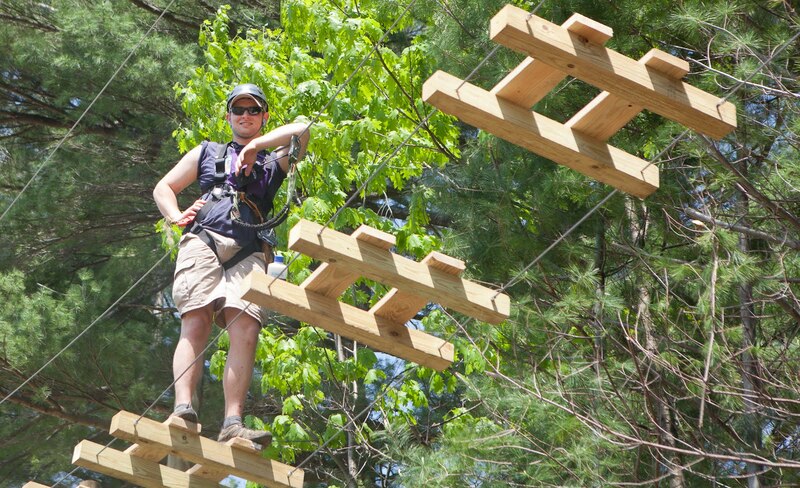 See you at the Mountain Advenure Park! New Cranmore Mountain Adventure Park - opening Sat. 5/28! Have you heard the great news? 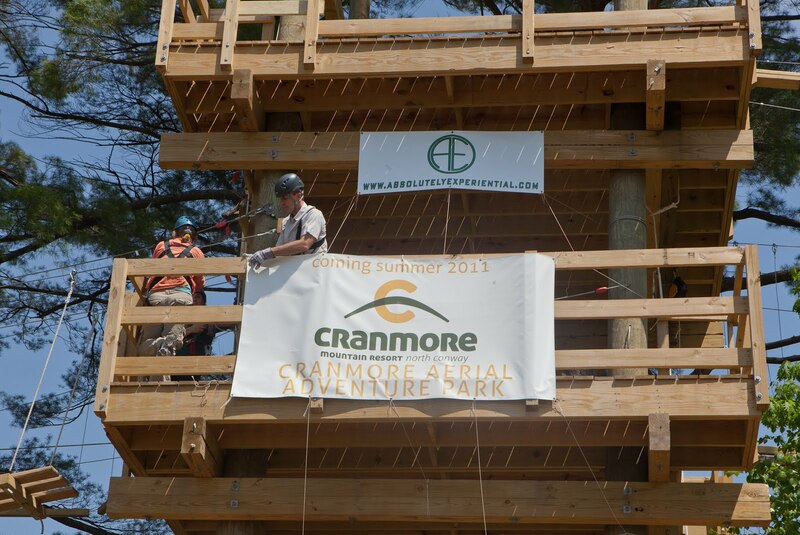 Cranmore's brand new Mountain Adventure Park opens for the summer starting May 28th -- Memorial Day weekend! We have thrills and challenges for all ages, from tots to teens to adults. It’s a great way to spend a day filled with action. It’s sizzling hot fun all summer long! Capacity is limited, though, so be sure to make your reservations online today. We have many different ticketing options, but our best value is the All Access Pass + Aerial Adventure Park ticket -- with it, you get unlimited access to all the rides plus three hours in the Aerial Adventure Park! 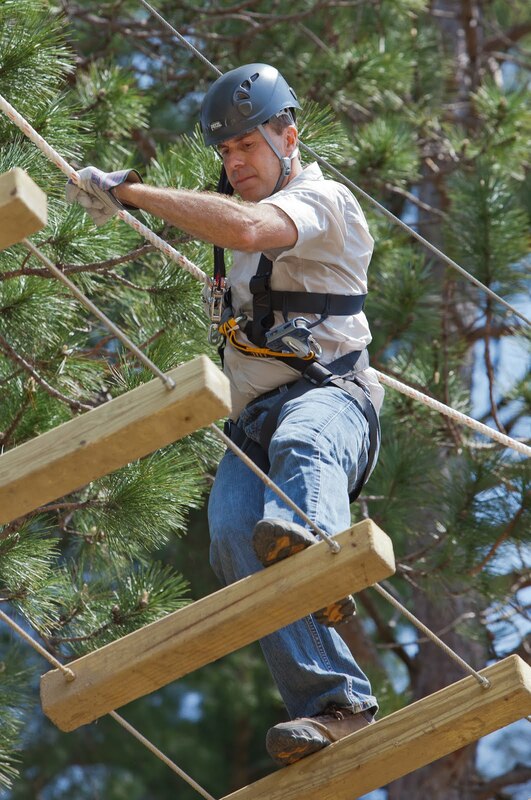 On opening day -- Saturday, May 28 -- we'll be featuring grand opening special activities from 11am – 1pm. Join us for free face painting for the kids, family entertainment, balloons and a nature tour at the summit with a naturalist from Tin Mountain Conservation Center. Spend the Weekend with Us! Why not make a weekend out of it? 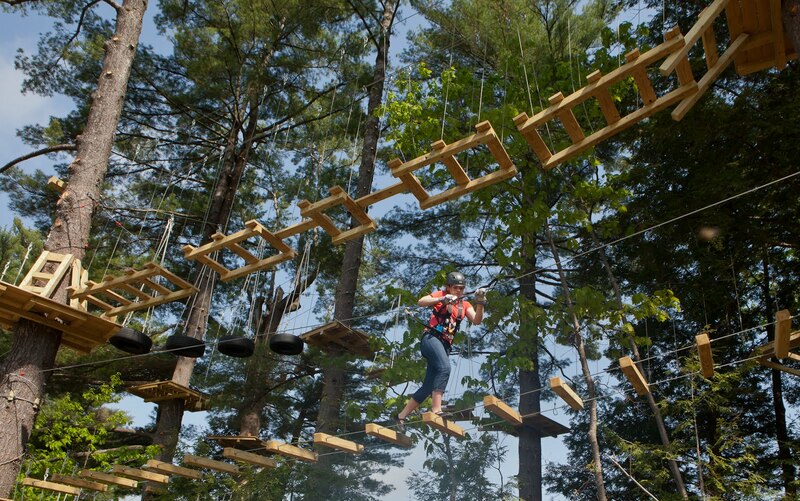 The Mount Washington Valley has a wide variety of fantastic lodging options very close to Cranmore. Many of our favorite hotels and lodges are offering special "Stay & Play" package deals for Memorial Day weekend and all summer long. Check out our Stay & Play listings for more information. We're looking forward to celebrating the start of summer with you! See you soon! North Conway's Mountain of Choice!